The National Park Service hopes to expand exhibit space, add a second elevator and upgrade bathrooms. WASHINGTON — The National Park Service has released proposed plans for Lincoln Memorial renovations that would vastly expand exhibit space, add a second elevator and upgrade bathrooms. 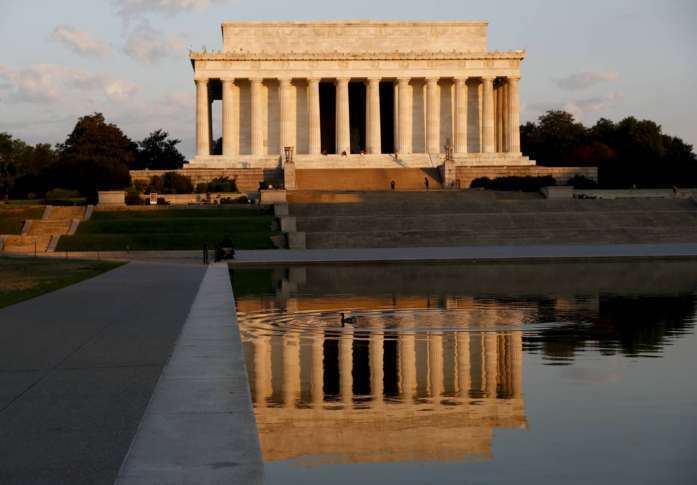 “Facilities that were last renovated 20 or 30 years ago are simply not sufficient to deal with the more than 8 million people a year who come to the Lincoln Memorial,” said Mike Litterst, spokesman for the National Mall and Memorial Parks. “Leave things the way they are and continue to have substandard exhibits and facilities,” Litterst said. The “bells and whistles” option would create a vastly bigger exhibit and retail space under the statue chamber. It would add nearly 15,000 square feet of functional space for exhibits, education and research areas, Litterst said. It would also include a second set of bathrooms, add a second elevator and open expansive views into the cathedral-like undercroft level currently not visible to the public. Restrooms would be renovated, reconfigured and expanded slightly. The 200-square-foot bookstore would remain on the memorial’s chamber level. A picture window would open partial views into the undercroft area. Even though one of the options for consideration is to do nothing, some type of upgrade is virtually assured due to an $18.5 million donation for the project from local philanthropist David Rubenstein. 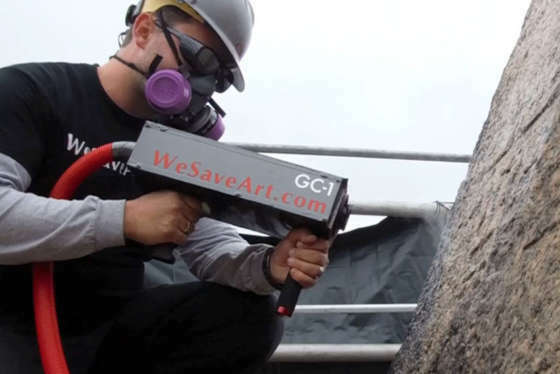 The National Park Service is testing a high-tech treatment using lasers to remove a grimy, black film that has plagued the Jefferson Memorial for years. The comment period on proposed changes is open through March 7. You can access the comment page and the document detailing the various options under consideration on the Park Service website. A public meeting to discuss the alternatives will be held at 10 a.m. Feb. 21 at the National Building Museum (401 F St. NW). The gathering will be in Suite 308, in the Advisory Council for Historic Preservation. Renovations are intended to be complete by 2020. Memorial centennial celebrations will be held in 2022.